How effective is car wrap advertising? Car wrap technology is increasingly gaining popularity day by day, thanks to its invaluable input in promoting business brands, products, and services to targeted demographics. Car wrap advertising can reduce your marketing costs and create a high number of daily impressions for your products. It also provides the flexibility to replace the wrap anytime once it bores you or the message gets outdated. Car wrapping is a cost-effective form of advertising. It is also an easy option to consider if you want to customize your car outlook according to specific tastes and preferences. Industry insiders believe the cost per impression created is about 15 cents per wrap, which is significantly more affordable than using newspapers or some other forms of ads. In addition, 29 percent of weekly shoppers admit they get persuaded by vehicle marketing campaigns. Hence, it turns out car wraps provide an incredible opportunity to attract new consumers and boost your revenue. Did you know that Federal Highway Administration studies show households spend a lot of time in personal vehicles while traveling yearly? The average vehicle driven for about 15,000 miles annually is likely to pass by 9 million other cars. This means when you use car wraps, you stand a chance to reach target groups easily and instantaneously. All you have to do is ensure your van, bus or truck is wrapped by experts for that lasting impression. 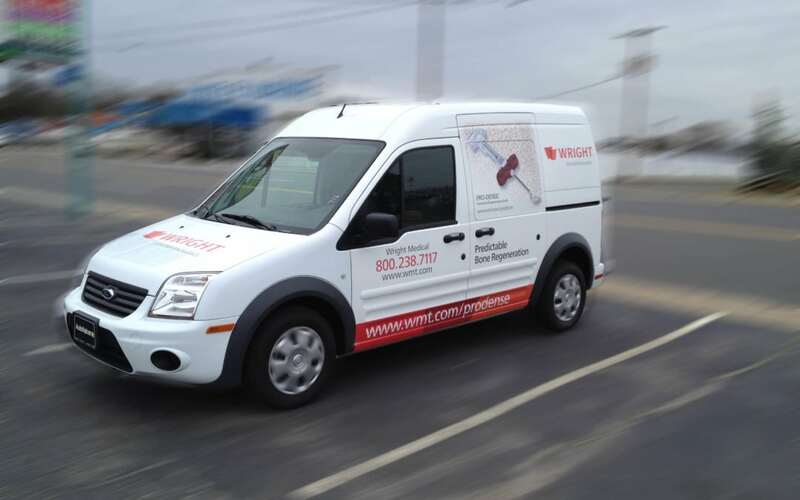 One of every business’s main goals is to maximize the rate of return on investment (ROI) when using vehicle advertising. To realize this goal, consider these tips to make your car wrap effective. • Car wrap messages should be precise and clear. They should be quick and easy to skim-read from afar, without too many complicated graphic elements. Prospective consumers don’t like reading complex ads that take too long to communicate their message. • Include a call to action phrase to entice, encourage or convince your would-be customers to call, visit, or place an appointment for more information about your service. Call us or visit our website today for additional information. Our Los Angeles experts will provide you with top-quality car wraps that will enable your business to stand out from the competition.